You don’t need to take computer classes to find your way around Apple devices – although it does make the process a quicker one. However, if you are semi-retired, as I am, with a ton of time on your hands to fiddle with your devices, you can easily problem-solve a technical issue or two. 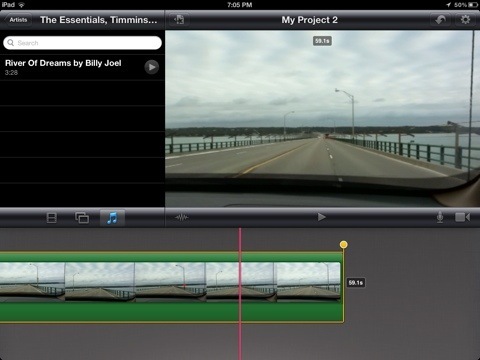 Recently, when I was working on a family-themed video, I ran across a nagging and frustrating glitch in the IMovie App. When I tried to insert audio of any kind, particular from my ITunes library, the music immediately snapped to the front of the video. 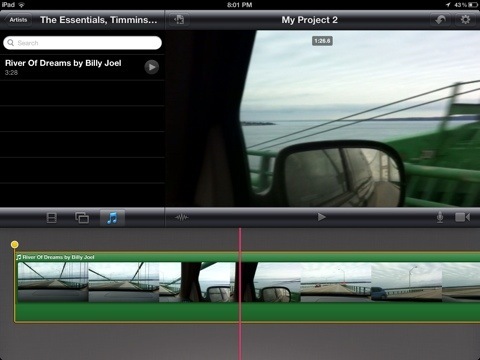 And, unlike IMovie on the Mac, this audio clip could not be moved to a preferred placement in your video. 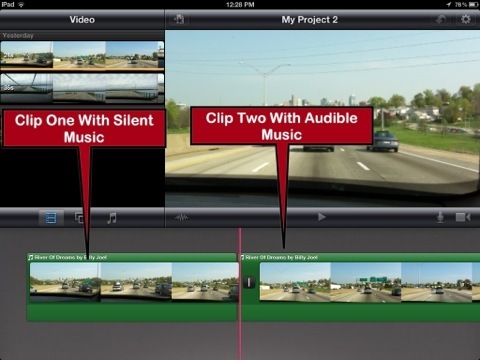 It was frustrating – I found it impossible to edit the length of the music backwards and forwards. 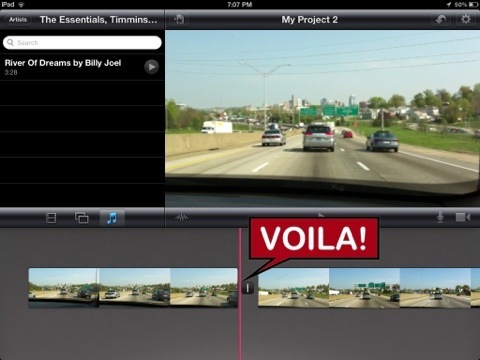 Then, I turned off the loop music function, selected the video clip and two yellow handles appeared. However, only the back handle ( the one on the right) was editable; the handle on the left would not budge. So the music could be re-positioned from the back and not the front? Strange. 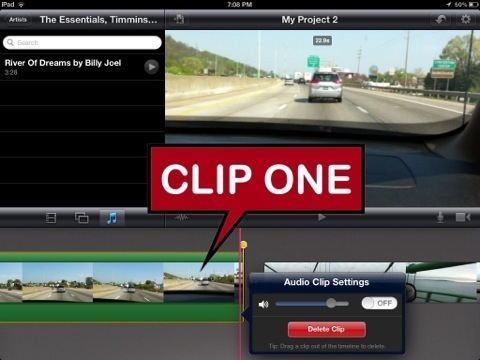 I then split the clip where I wanted the music to begin, thinking that if I selected that clip before adding the audio clip, the music would place itself below the beginning of that clip. No again! The music gabbed the entire video. Well, this was a nightmare! So off I went to the Apple Store and posed my problem. However, six days later the creative team gave up and sent the problem to Cupertino. Did I find a glitch? Well, sort of. Not one to give up easily, I continued to play around with the video, exploring every option and this is what I think is a pretty good work around until Apple addresses this issue. Once again, I split my video in two, but this time, I decided to add the music twice – one to the first clip and the other to the second. But, at first this did not work. The audio insisted on attaching itself to both video clips, I had to grab the back handle of the audio clip and move it all the way forward to the end of the first clip. Then, because I didn’t want to hear the audio in this first clip, I double clicked the audio clip to bring up the audio features and turned down the volume all the way to the left. 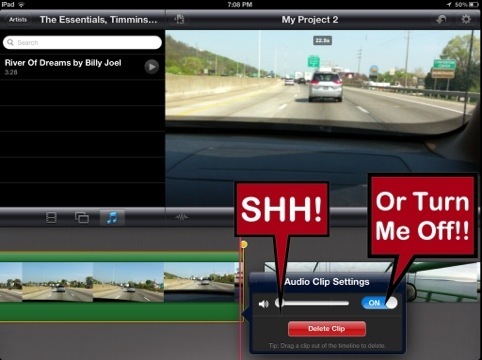 Alternatively, one could also just set the audio to the “off”position. So, although the music was there, one could not hear it. Now I was left with the second clip minus the audio. Because this is where I wanted the music to originally start, would adding the audio a second time ignore the first clip with the silent audio track and jump to the second? One way to find out! Just do it! I selected my song from the ITunes library and, wonder of wonders, it grabbed the beginning of the second clip. Praise the Lord, Hallelujah! Then I adjusted the audio level for the music on the second clip, making sure that the music was at an appropriate audio level to compliment the people speaking in the video. And, that was that! Looking at the written word, it all seems so simple and usually these problems are. However, it took a while to get past what I could easily do on my Mac where one can just move the audio to the correct placement. 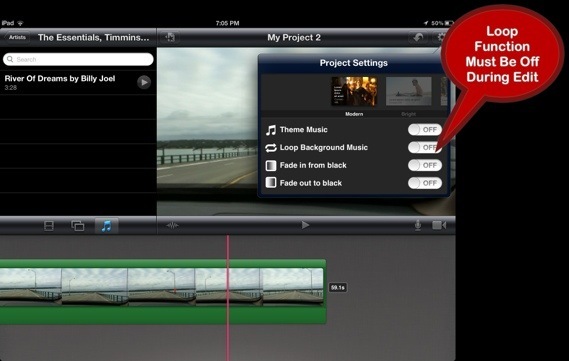 Hopefully, Apple will issue an update to address this technical issue in the IMovie App. 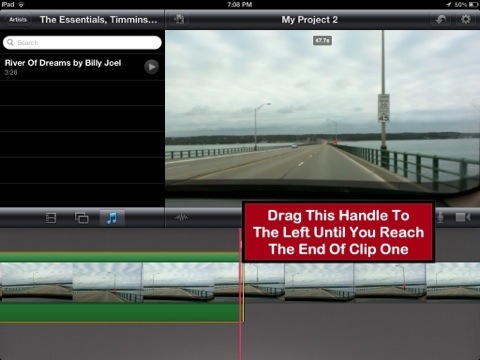 If one can shorten the video from the back end, one should be able to move the front end to any point in the movie. It should just work, right?